Book a private flight to St. Thomas, home to some of the Caribbean’s nicest beaches and luxury resorts. Saint Thomas is a premier cruise port in the United States Virgin Islands, and the undisputed Caribbean king of duty-free shopping is a mecca for luxury merchandise. Enjoy all-inclusive, efficient, and transparent air charter service by arranging your private flight to St. Thomas with Air Charter Virgin Islands. When booking a private flight to this world famous holiday resort with us, you gain experienced jet brokers who are ready to advise and arrange all the details of your upcoming flights. Our personable and highly-customizable service will be available to you all hours – a true 24/7, no matter what time zone you’re in. Enjoy the peace of mind you get from working with a jet charter broker you can trust, and let Air Charter Virgin Islands be your local and global aviation solution for luxury air travel, aircraft acquisition and private jet management. Gourmet catering, luxury ground transportation, private helicopter lifts, luxury yacht charters, in-flight Wi-Fi, attentive cabin crew and plush interiors: we can arrange all of this and more upon your request. 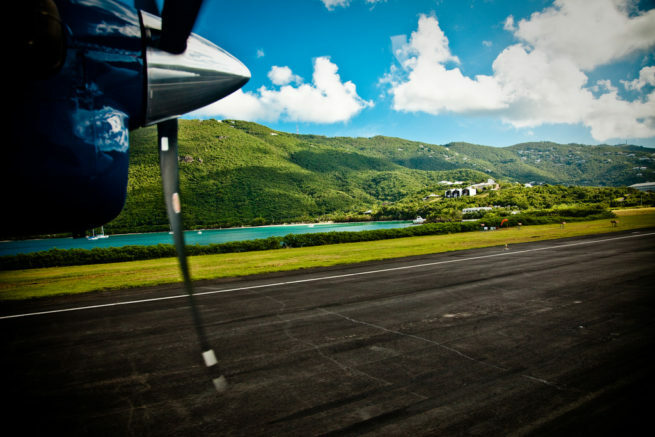 Give us a call or request a quote now to book your luxury private flight to St. Thomas, United States Virgin Islands. If you’re visiting the USVI, there are no airports located on St. John; visitors have to fly into (STT) Cyril E. King Airport in St. Thomas, and continue to St. John by boat. Our team is able to arrange a luxury yacht if you’d prefer to make your own way to St. John after your private flight. Despite only offering just over 30 square miles of real-estate, if feels like there’s a million miles worth of things to do when you’re on Saint Thomas. Book a private jet to St. Thomas and stay at a luxurious hotel that complements your charter flight. The island is home to the ultimate Caribbean shopping spree, and there are a variety of luxurious accommodations to match. Plan your stress-free Caribbean flight with Air Charter Virgin Islands and enjoy your adventure in the US Virgin Islands. Request a Quote or give us a call at 1-888-987-5387 to speak with one of our Saint Thomas Private Jet Charter brokers and review all of the options for your private flight.